Kaiza is a small bed and breakfast (B&B) style inn that opened in 2008. With only four rooms, we opened this small inn in hopes to offer our guests we aim to offer our guests a tranquil and peaceful time. We’ve spent many years looking for a quiet place where you can see the ocean and after looking for many years, we finally found a quiet location where you sea the ocean and was very involved in building design and interior. We work to have Kaiza become a place of comfort for all of our guests. 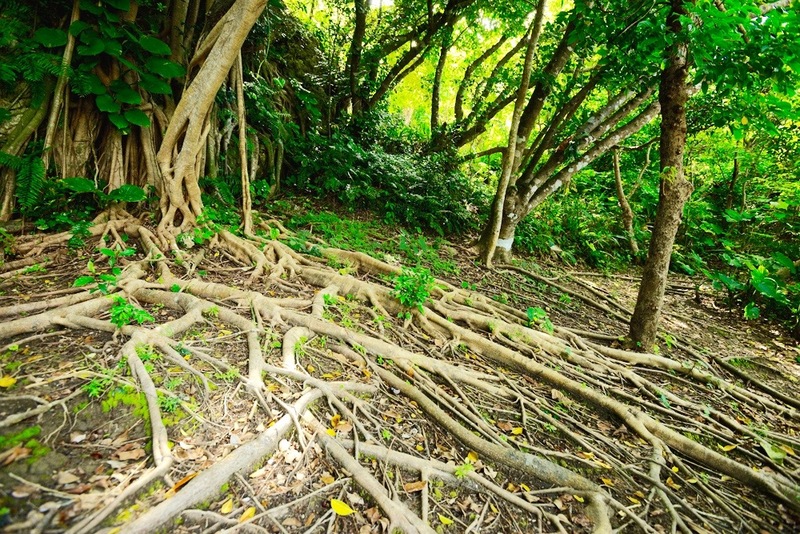 Behind Kaiza is a growing private banyan forest. 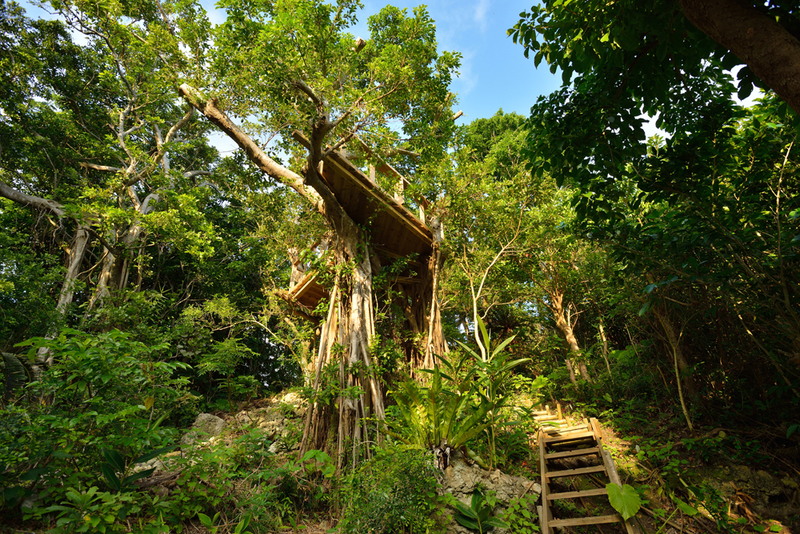 If you follow the forest path up the small hillside you will suddenly find a tree terrace with a special seating area. 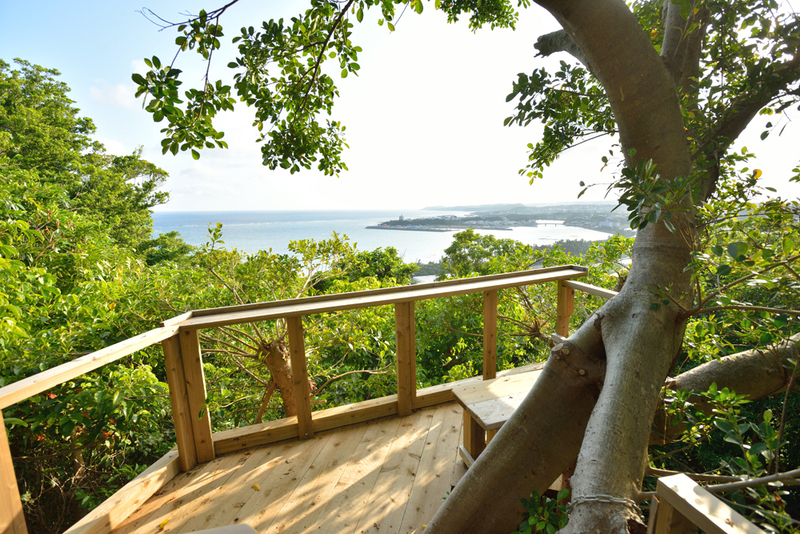 Please feel free to sit and enjoy the Chisabaru sea while listening to the wind. 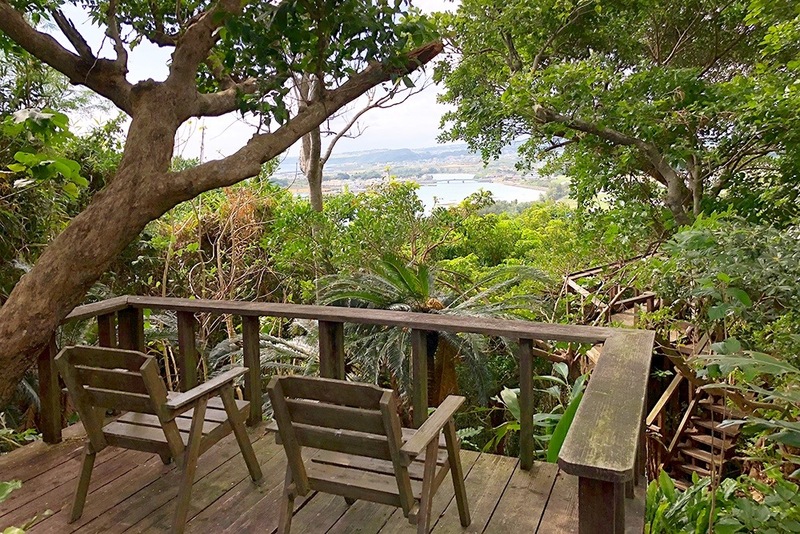 From the wooden deck you can see Ou Island, Mabuni Hill, and the Itoman windmill. Also nearby is the very popular cafes, “Hama no Chaya” and “Yama no Chaya”. Close to Kaiza is the Nibaru beach and Hyakuna beach where you can enjoy swimming, snorkeling, horseback riding and many other activities. In addition, the stairs to Kaiza is made out of natural limestone so please wear shoes that are easy to walk in.